Author: McDonald, R.A. Set In . . . Description: No sickness, No injuries, No pain, No limits. Ada has spent her life shutting people out, but with the power to heal, some won't be turned away. Hunted and on the run, Ada sets out for Paris to solve the mystery surrounding her mother's disappearance, and discovers her true power is her will to survive. It’s not easy being a teen, finding and defining identity is a painful and uncertain journey. 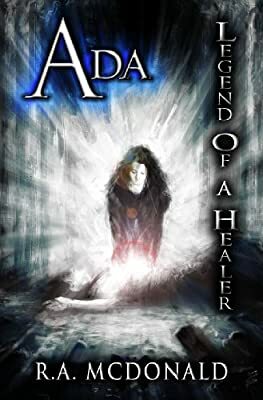 Ada’s faced with life challenging struggles that will shape or break her character. Travel to France with Ada where she finds friends, falls in love and practices Parkour across the rooftops of Paris. The author brings Ada to life in the minds eye in so many ways. Her emotions are laid bare before the reader and you can feel the aching of her heart, the loneliness, the desperate cry for love and understanding. This is a charming story; the art in the book is beautiful and unique only adding to the reading experience.